Inaugurated by the Academy of American Poets in 1996, National Poetry Month, held every April, is the largest literary celebration in the world with schools, publishers, libraries, booksellers, and poets celebrating poetry’s vital place in our culture. However! The Everyman book, which I’m currently making great headway with, collects the poems by theme – which is interesting, but not always the way I want to read poetry. The Penguin volume, however, goes chronologically and features a great number of poets I haven’t read. So it’ll be ideal for checking out authors new to me, and as it features an erudite introduction plus short bios of all the poets it’s even better! Sadly, despite the huge piles of books on Mount TBR, the lure of new volumes doesn’t get any less – and this rather lovely book is really something special. 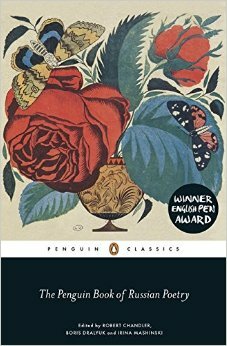 I first came across Teffi’s work in “Russian Short Stories from Pushkin to Buida”, a nice Penguin Classic collected by translator Robert Chandler, and which featured two of her stories: “Love” and “A Family Journey”. So when I saw that a selection of her work was coming out from Pushkin Press I was naturally *very* keen to read it! 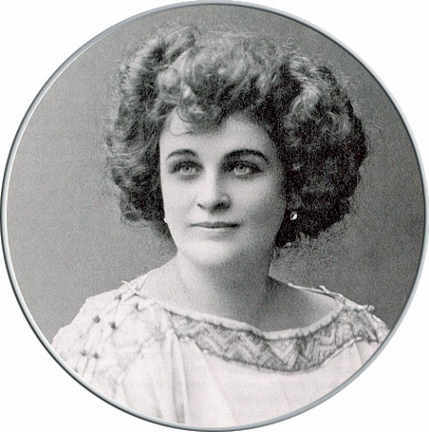 Teffi’s real name was Nadezhda Alexandrovna Lokhvitskaya and she was born around 1872. Labelled a humourist, she had the distinction of being a favourite of both Tsar Alexander II and Lenin – which not many people could claim! She survived war, revolution and civil war, finally escaping to Paris where she spent the rest of her life, until her death in 1952. All through her life she wrote and published, her last stories being written not long before she died. She’s become unjustly neglected over the years but luckily Pushkin have brought this wonderful collection of pieces to us so she can be rediscovered by a whole new generation of English-speaking readers. “Subtly Worded” contains a variety of pieces ranging from early pre-revolutionary stories through recollections of Rasputin to later stories and finally her last, thought-provoking works. And what wonderful works they are!The early pieces are gems; short, human stories with a sting in the tail and a hidden nugget of truth. “The Lifeless Beast” is a particularly powerful tale, telling the story of a young child whose world falls apart because of marital strife. Her only joy is in her toy ram, the beast of the title, and as her parents’ marriage disintegrates they are menaced by drunken women and rats in the cellar – the latter perhaps a metaphor for the circling evil in the world. It’s a striking and moving story. Even the slighter pieces, like “The Hat” which comments quite tartly on how much a person’s attractiveness is enhanced not by what they wear but on how they feel and project themselves, has a point to make. These are not just flimsy stories – Teffi always has something to say. The title story itself is a clever little masterpiece about the impossibility of communicating with friends and family left behind in Russia without endangering them or talking gibberish. Some of the pieces are autobiographical and “Rasputin” in particular is intriguing. Teffi recalls her encounters with the mysterious monk who had so much influence on the Russian royal family and in many ways was a cause of their downfall; it’s a vivid, fascinating memoir and the monk comes across as a chilling personality. But the shorter piece, “Petrograd Monologue” gets across in a few pages the hardship and starvation suffered by the Russian people, which in the hands of a lesser writer would have taken more words and to less effect – it’s clever and subtle and very compelling. The later stories, written when Teffi was an émigré in Paris, have a stronger sense of melancholy. She tells the tales of the ex-pats, struggling to adjust to life away from their homeland, trying to make a living in a strange and hostile city. These are funny and poignant at the same time, and you can tell that Teffi misses her Russia, the Russia of the past, in stories like “Ernest with the Languages” where she conjures up a Russian estate from her youth. There is also a section of magical tales, and some of these are quite chilling. The last few stories, from Teffi’s last years, are particularly moving, the last one in the volume relating her hallucinatory dreams under morphine as her life ebbs away. Teffi’s work has been mainly translated here by Anne Marie Jackson, along with Robert and Elizabeth Chandler, Clare Kitson, Irina Steinberg and Natalia Wase. Whoever chose the stories has made some wonderful selections, spanning the entire breadth of her works, and Jackson has done a grand job in giving Teffi a distinctive voice in English; in fact, all the translators have, because the tales work together seamlessly and it’s impossible to tell which translator did which story without looking. There is an art to short story writing, and Teffi possessed it in spadefuls. Comparisons are being made with Chekhov but they’re odious (comparisons, that is). Teffi doesn’t need to be compared with anyone – she’s a great storyteller in her own right. As Jackson points out, Teffi is particularly good at capturing the voice and thoughts of children and really is a master of the short story form, capturing the essence of things in just a few pages. 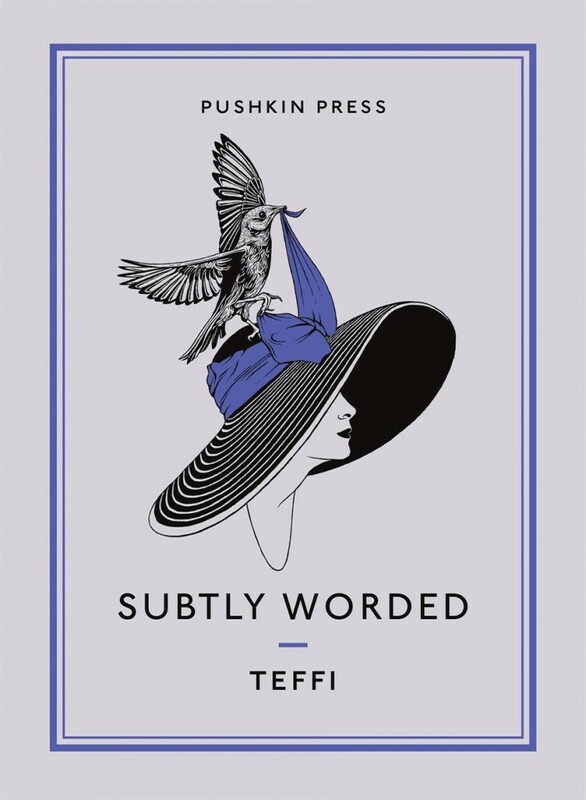 Pushkin Press are doing such a wonderful job bringing us lost European authors, and they’ve performed a sterling service with this one, as Teffi has been unjustly neglected. She deserves to be known outside of Russia and thankfully we have wonderful translators and publishers who can bring her work to us! Highly recommended! And now I’ve just got to try to find where I’ve hidden my copy of “…from Pushkin to Buida”! Although it’s now February, I’m going to count this book as one of my January re-reads, as I did finish the main story before the end of the month. But this is another book that could be considered a new read and a re-read since the last time I came across this volume was in the original translation, and this is a brand-spanking-new NYRB version by Robert and Elizabeth Chandler – so there’s something to look forward to! I should say up-front that this is the first book, since I began blogging, that I’ve felt a kind of trepidation about reviewing – I’m really concerned that I’m not going to be able to do it justice. However, as it’s such a remarkable book I will have a go – but would recommend any interested readers to look no further than Robert Chandler’s excellent notes and commentary within the book itself. These are exceptionally informative and illuminating. 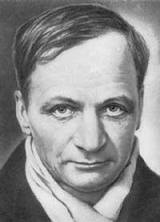 A few words about Platonov first. A key here is the use of the word existentialism, as Platonov’s works are certainly concerned with existence and the best way to live. 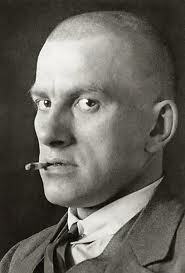 “Happy Moscow” was unfinished and unpublished during his lifetime, and it begins with the eponymous heroine, Moscow Chestnova, coming into consciousness with her first childhood memory: that of a dark man with a flaming torch running through the streets of the city, and the noise and clamour of the start of revolution. Immediately the girl is linked to the city, and the image from her childhood returns at intervals throughout the book to haunt her. All of these men are struggling to find a way of life under the new order, and Chestnova in many ways seems to symbolise the city and the future for them. Here, dream is the pivotal word, and the book does have this quality. The characters are constantly moving, physically and emotionally, reflecting the constant change of the world around them. 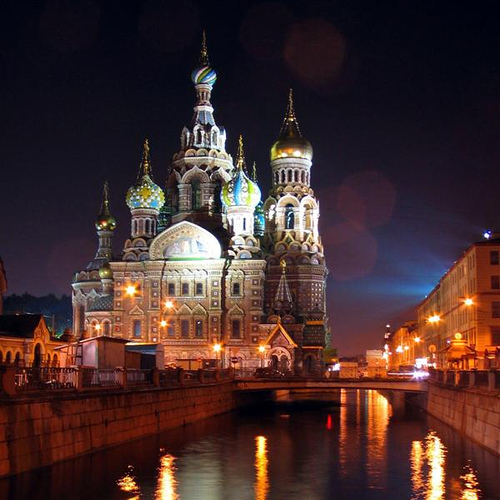 The story starts positively, with Moscow embracing life and the developing Soviet world around her. However, after a parachuting accident where she plunges to the ground in flames, her existence changes and loses focus. Obviously, we are meant to conflate the characters and the city – Chestnova represents Moscow the city which was being dramatically reconstructed at the time of this book – so much so that, as Chandler points out in his introduction, Moscow was undergoing such change that there was no accurate map of the city at the time, only old maps of how it used to be, and plans of the metropolis of the future. One of the recurring motifs of the book is height – Chestnova is up in the heavens parachuting; the city is thrusting skywards with its new buildings; we see the city and the stars and the skies from above. Conversely things begin to go wrong with downward motion – it is in the construction of the Moscow underground that Chestnova suffers the accident that changes her forever. Her complex series of relationships with the men in her life is altered after this, and the focus of the story slips away from her to Sartorius. While Bozhko converses around the world with other Esperantists in an attempt to spread the socialist word, Sambikin operates and tries to find the essence of life in dying and dead patients and Komyagin the reservist struggles to complete – well, anything at all that he has started. So we are left with Sartorius during the closing chapters, and his constant movement and state of change. He has abandoned his scientific work in the field of weighing and moves on, almost Buddha like, to take on the personality and responsibilities of whoever or whatever comes his way. This complete abnegation of his own personality could be seen as an extreme parody of service to the state, or maybe simply a reflection of the transformation of Russia which was going on around him. 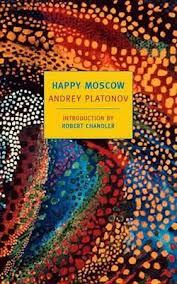 Initially when reading “Happy Moscow” it’s hard to see why Platonov couldn’t publish it in his lifetime, as on the surface level it ticks all the boxes for Soviet Realism – rebuilding of Moscow, construction of the underground, scientific process, the great and glorious Stalin. However, the careful and detailed notes by Chandler remind us of how subversive this book actually is, and when things begin to go askew for the protagonists it is quite clear that we are dealing with no ordinary author here. This is a remarkably complex book and I think I would need several reads of it to really come to grips with it. Platonov reflects many elements of Soviet society of the 1930s – the scientific attempts to solve the problem of the human soul, the search for immortality, the thrusting towards the future and the trampling of humanity beneath the instrument of state. The language is beautiful and dream-like, and this is one of those books that gets inside you, so you’re still thinking about it for ages afterwards. Very much recommended for anyone who loves Russian fiction and also wants to read something that is different, thought-provoking and memorable. As a footnote, this volume not only comes with the novel itself plus notes and commentary from Robert Chandler. There is also the inclusion of other pieces peripheral to and related to “Happy Moscow” including the short story “Moscow Violin” which repeats sections of HM and gives a fascinating insight into Platonov’s construction of his work. Really, there could be no better presentation and Robert and Elizabeth Chandler plus NYRB should be commented on this exemplary work! The very lovely Tuesday in Silhouette blog, which I just stumbled across via Alex in Leeds‘ excellent pages, is running a Russian Reading Month which I have decided to tag onto – partly because I happen to have just read “Conquered City” but mainly because I have an abiding love of Russian Literature. TIS has provided an interesting little meme re Russian Lit so here are my thoughts below. What has your relationship with Russian literature been like thus far? What are your expectations for the following month – and perhaps your expectations towards the novel/writer you’ve chosen to read? My first real encounter with Russia came when I was in my teens at Grammar School and we studied the Revolution in History lessons. I was fascinated by the period and started to explore further, and the next influence was the film of “Dr. Zhivago” which was re-running at our local cinema. 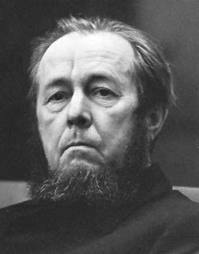 I then began to read Solzhenitsyn, who was very much in the public eye when I was growing up, and was knocked out by “One Day in the Life of Ivan Denisovich”. Luckily, my lovely old-fashioned school library was stuffed with glass panelled bookcases full of purple jacketed Russian classics so I was able to indulge. I’ve continued to love and read the Russians ever since – everything from the classics to modern volumes like “Novel with Cocaine”. I was particularly taken with “Crime and Punishment” when I first read it, and also Gogol’s “Dead Souls” which I found amazingly funny. A more recent discovery was the wonderful Andrey Platonov who is unusual and strange and quite unique. I finally got round to reading “The Master and Margarita” a few years ago and was hooked, moving on to read everything by Bulgakov. I confess I still struggle with Tolstoy and there may be an issue with my attempts which I’ll get onto later. I also love to read books about Russia and its history so I guess you could call me a real Slavophile! 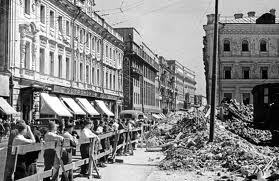 The first book I read for the Russian month was “Conquered City” which I reviewed below. I had high hopes for this from what I had heard about it and I wasn’t disappointed. I’m currently re-reading Dostoyevsky’s “Notes from Underground” which I’m enjoying even more than the first time. I hope to read Nabokov’s Gogol biog which I have on order, and I also want to re-read “The Master and Margarita” – for reasons I’ll expand on below! 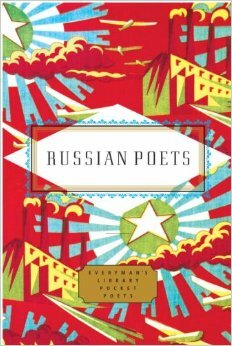 Thanks so much to TIS for prompting my re-engagement with Russian literature – one of my long-term loves! This set me off thinking about the whole nature of translation generally. With one of my favourite writers, Italo Calvino, it’s fortunate that there have only been a few scholars involved. The bulk of his work during his lifetime was skilfully handled by William Weaver who gave the books a consistency and a voice. Tim Parks did some translating after Calvino’s death and since then, Martin McLaughlin has taken over the mantle of presenting Calvino’s works for the English-speaking world – all the time he is careful to respect what has been done before and improve on it discreetly when he can. With the Russian authors there are numerous different translations. The first, much maligned, translator of many volumes was Constance Garnett. It is fashionable nowadays to condemn her work as inaccurate and faulty, but I think it’s too easy to criticise. She was trying to present huge numbers of long works in a format that the English-speaking reader could deal with in the early 20th century and as a one-woman translating machine she did very well. However, I pulled out a number of my Russian novels last night and found there was a wide array of translators represented. Many of my older Penguin Classics were dealt with by David Magarshack and David Duff, and I never had any issues with reading them although Magarshack in particular gets bad press nowadays. 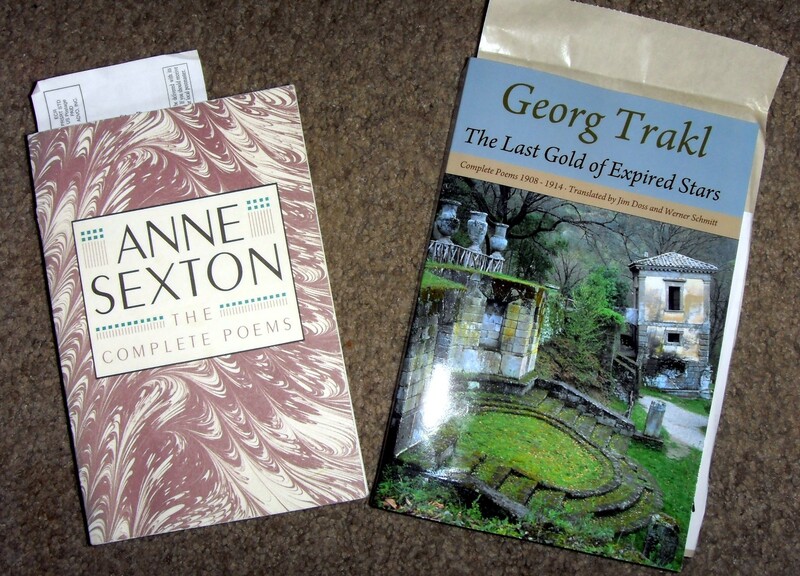 But looking through my more recent volumes, I realised that there were two translators whose skills I really trust. The first is Robert Chandler, who is probably best known for bringing Platonov to us in English but has also produced an exemplary collection, “Russian Short Stories from Pushkin to Buida”. To translate a writer as complex and subtle as Platonov takes real talent and love of the language, and Chandler has certainly served literature well. The other scholar, who seems to have been beavering away quietly in the background, is Hugh Aplin. Aplin has produced numerous translations for Hesperus Press of Chekhov, Lermontov and Turgenev – and is the name behind my current NFU as mentioned above. His work is elegant and consistently readable – there is no hype or fuss, just well presented and enjoyable volumes. Well done gentlemen! Anyway, this exercise has made me realise that I need to think more about the translated literature I’m reading. This subject surfaced a little while back when I was considering Proust, and the advice I’ve come across then and now is to compare as many different versions as you can and choose the one you respond to best. So I think I shall try to ignore hype and publicity claims, and let my reading mojo respond to the prose!